No real surprise that HCL Technologies won this year’s Asian Human Capital Award. CEO Vineet Nayar always speaks a lot of not-so-common sense and I’ve been looking forward to the awards session since Vineet let the cat out of the bag by tweeting about his session yesterday. I wasn’t let down and think Vineet’s input has been the most insightful piece around Asian business / HR so far, talking about the current ‘perfect storm’ and suggesting that given the returning economic crisis in Europe, that the West is looking more seriously at the East than ever before (which is I guess why I’m here for the first time too). As the Singapore Minister for Manpower explained, Asian organisations are responding to economic turbulence by developing their own innovative, effective and impactful human capital solutions rather than by translating solutions from the West (why would the East want to copy the practices that have got the West into this economic mess?). HCLT’s experience is a good example of this – Employee First Customers Second “isn’t a people strategy identified to support the business, but a business strategy built around having employees build high performance and generate value for customers” (ie it’s creating vs just adding value). I’m back in South East Asia this week. I’ve already delivered a workshop on HR and social media in Kuala Lumpur on Monday and Tuesday (see klhr20.blogspot.com). And today and tomorrow I’m blogging from Singapore’s Human Capital Summit. As you can see, it’s a big event (and very red!). In general though, most of what I’ve heard so far applies as much in the West as it does here. For example, there’s the same misconceptions about Gen Y - that they have a sense of purpose, want flexibility and more life than work, that sort of thing (I know for a fact that most Western, and am fairly sure that many Asian, Gen Xers and Baby Boomers want these things too). One speaker, for example, noted that Gen Y believe in more life and less work (so do I by the way). However, one of the other speakers suggested that there was no longer any work-life balance as people spend so much time at work – so perhaps not everyone had quite got Linda’s message (actually this may be one of the few factors which really does apply more in the East). And there’s the same move to a more collaborative, democratic way of working. And I did think that this was a really interesting thing to see. I’m going to post over at Social Advantage a bit later on. Dare I say that there’s also, unfortunately, the same over-reliance on the use of panels during conferences. But in general, today’s looking like a really stimulating day. Anyway, its wonderful to be back here again – I always find Singapore a very stimulating place (probably no coincidence I started my blog here all that time ago). More from the summit later / tomorrow. The other interesting conversation we were having at the CIPD’s OD conference (in the discussion group I was in) about change management, and how to make transformation work. People were talking about the need for persuasion and how they could best get people to move where the organisation wanted them. I leapt in then because I’ve become increasingly convinced that this is not the way that change management works. Particularly in the OD world, we understand, or should understand, that this isn’t the right way things to do things. That as soon as you try to move someone, to persuade them to a point of view, you’ve lost the plot. I call it the Borg model of change – you know, “you will be assimilated!”. Fine if you want to take your place in the cube, but not what most of us are after. What we need to do instead is to involve people in deciding where to go. Then there’s no need for assimilating people, and the change (OD) process is going to be much more successful too. I’ll be blogging a lot more about change management next month (connected to some work I’m doing at the moment). I’m on David McLeod’s Engagement Taskforce ‘guru group’ but will be missing their meeting today. However, I have been thinking further about engagement, largely as a result of my attendance at the CIPD’s OD conference the last two days. Most of my thinking and experience around engagement comes from an HR perspective (thinking for a minute as HR as an ‘activity’, with engagement as an element of human capital as an example of ‘outcome’ – which I know is the opposite of what I suggested we should be doing in my last post). So we improve our HR processes, and encourage our leaders to treat their people better. But importantly, we also need to ensure each relationship between each person and their manager (and others) is improved. Interestingly, this came up during day 2 of the conference too (perhaps because by then we’d moved on from organisation development to organisation effectiveness, which as Linda Holbeche had noted, involves an integration of OD with HR). So for example, Rebecca Marks from Internal Communication and Employee Engagement at DHL gave us a nice example of using animal analogies to help people understand their personalities / preferences, so if you’re a placid dove managing a bull, you know there might be issues. Or what about if you’re managing a mischievous chimp? We’re talking about warehouse operators here, so things need to be kept simple and fun – so I think it’s quite a nice example and has apparently helped people picture what they’re really like. Create organisation structures and roles which provide autonomy and responsibility (this had come up too on the first day when the speaker from Nationwide had suggested that they’d done too much dumbing down). I think if all organisations took actions in all three of these areas the engagement taskforce would have a lot less to do. I spent yesterday at the CIPD’s Organisation Development conference. In general, it was a well run and very informative day, including excellent sessions from Mee-Yan Cheung-Judge and Linda Holbeche. The ‘open space’ was a disappointment. I’ve got nothing in general against discussion groups, and the one I was in was really interesting. But an ‘open space’ session it’s not. I think, particularly given the session was for OD practitioners, many of whom haven’t experienced this or other large scale formats, that a bit more precision one way or the other would have been a useful thing. And I just hope the experience doesn’t put delegates off true open space experiences, like Connecting HR. Too many slides, and too many bullet points. Mee-Yan and Linda can get away with it given the quality of their content. But one other presentation had 27 slides of compressed bullet points – what were the speakers thinking? There was a lot of good stuff explaining the role of OD. I hope you forgive the personal reflection but the main interest for me was some reinforcement of why I don’t in general consider myself to be an OD practitioner (even though I do a lot of OD). I strongly agree with this focus on outcomes. However, a bit like Schein’s perspectives on culture (that the term is so broad as to be useless and that what’s really needed is to understand change in exact behavioural terms), I think they need to be sharpened too. After all, what does health and effectiveness mean? At least this is an improvement to thinking about activities. If you think about the key levers we have available to us, ie people, organisation and social (the relationships between the people working in the organisation), then HR is obviously the people people piece, and I think many people assume that OD is the organisation piece (and maybe the social piece too if they think about this at all). Social capital (once again supported by human, organisation and social activities) is then the focus of OD. I think this focus on social outcomes provides the necessary sharpness. I do largely support Mee-Yan’s description of OD’s values: “not quite communist but shamelessly humanistic” (I write wearing my pink glasses, pink shirt and pink socks on my pink blog). However, to me, these values are just what I think are important and useful in helping meeting the outcomes described above. They’re not important in their own right, ie I wouldn’t define OD based upon them. However OD’s values do have important consequences. Language is one example. It’s something that Mee-Yan referred to Victoria Ward from Fujitsu picked up on in her summary of the session: that words like heart, love, courage and spirit tend not to be words we hear much (or enough) or in the everyday organisation. So when Andrea Cartwright from Nationwide started to emphasis the need to OD to use plain business language, not OD / Organisation Effectiveness / HR language (“if I mentioned the word culture I’d be walked to the door”), I picked this up. (To be fair, Andrea answered my question very well – suggesting that both sets of languages are important, which I’d agree with). Linda Holbeche picked up on this theme later on too, noting that OD practitioners (and others) need to use language as a tool: “Everything we say reflects what we think and what we do – we delete other things. What language is used in your organisation, and do you need to insert other language / stories?”. Going back to values, I’m even less taken by Mee-Yan’s ‘what’ and ‘how’. Group and human dynamics but the key to me is to use whatever intervention is going to work best – I don’t see the need to be prescriptive (I’m OD tool agnostic just as I am social media tool agnostic). Linda Hobeche in particular emphasised the need to integrate HR and OD to support ‘organisational effectiveness’. For Linda, HR’s very good at doing process, and OD’s good at the less structured stuff and these balance each other well. Linda also sees OD’s values to be more conducive – HR’s moved too over too far towards being a tool of the business (I’d agree, though the comments I noted earlier about business language suggest this is also starting to creep into OD). We need to integrate these, and other factors together, to support out focus on achieving social outcomes. That to me is the new OD – and see my other blog, Social Advantage. for much more on all of this. OK, I think that’e enough for now. I’ve got another post I want to do, based upon the discussion group I was in, looking at OD and change – but that’s going to have to wait till later on. For now it’s time to pack my bags and head off for day 2 – looking at Organisational Effectiveness rather than Organisation Development – I’ll explain more later on. I presented on Tuesday at an event organised by OurSocialTimes, Social Media for CEOs. My session was on social media and staff. Organisations still tend not to focus on social capital – why? One reason is that they do actually need to develop human capital before they can effectively develop social capital. People need to know themselves before they can understand others. People need to respect each other as individuals. If not, organisations get anchored in “what’s in it for me”, rather than" “what’s in it for us” which stops true social collaboration. So the first reason CEOs need to pay attention to social media and staff is that they need to focus on HR first. The second reason is that true social support for customers and marketing etc require effective social relationships between employees. Yes, you can try to do it initially with one person in a room. But at some stage you need all your employees collaborating to support customers. Eg Best Buy’s Twelforce developed out of their initial Blue Shirt Nation which developed collaboration between managers and employees. The third reason is that this all links. At least at the highest levels of value. Social recruiting, learning and other applications can be used for just reducing costs, or providing better quality people but the focus should really be on organisational social outcomes eg connections build during recruitment supporting effectiveness post joining (eg Goldman Sachs), the learning organisation etc. 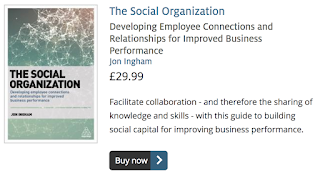 So both social HR and social business are ultimately focused on the same thing – building social capital ie effective (or even competitive) collaboration, innovation, speed to delivery etc through social relationships. Or just from an activity perspective, if you want your people to use social media with customers, it’s going to be useful to hire people who are already using social media. Opportunities to replace push based,, traditional recruitment, to pull candidates through sourcing etc, and to create social relationships and potentially communities. Exist, but HR shouldn’t overdo its focus on them. I also suggested the fourth reason CEOs need to focus on social media and staff is that they’re struggling to get HR people engaged in social collaboration (enterprise 2.0 etc), they can point out the opportunities inherent in social recruiting etc, and get their HR people engaged in social media through this. What do you think – did I get the key benefits right? And what conversations have you been having with your CEO on social media and staff? I’m just back from an HR measurement workshop in Barcelona. In this session, I explained to participants how to measure their HR and management strategies through an HR scorecard. I also warned them that my version of the scorecard is substantially different, and a lot more useful, than some of the other formats they may encounter. However, in these workshops, I always find that I run out of time to explain why I don’t like these other formats, and why participants should avoid using these in their organisations. So I thought I’d upload these slides in slideshare and my workshop participants, and you, can now find these here. View more presentations from Jon Ingham. These perspectives aren’t based on a strategy map which is what I suggest organisations need to use, so they don’t provide the sort of benefits my framework does, but at least they don’t do any harm – which is exactly what the other sorts of scorecard I discuss in the Slideshare presentation can do! 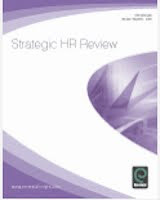 Note: for further information on how you use the HR scorecard format I recommend, contact me to run a measurement workshop for you own in-house team! I posted again recently on some forthcoming unconferences, and I’m pleased that we are now taking bookings for CHRU (Connecting HR Unconference) – 3. The core theme for this unconference is: The New world of work (and non-work perhaps). This theme emerged when a few of us met up last week to start some early planning for the event. We must have been feeling quite gloomy about the economy and the broader picture, for example with the riots in the UK, because we started to talk about things like ‘post apocalypse HR’ (hence the picture of the four HR horsemen) – but then decided that we may only just be entering the apocalypse! Err. I guess with hindsight we may have got a little carried away, but I don’t think there’s any doubt that things have changed – and that organisations need to try to find new ways to engage their people and take broader action to deal with changes in employment, and in the wider society too. For example, what should HR be doing about the 972,000 jobless 16 to 24 year-olds in the UK – an unemployment rate of 19% (still a lot less than the 44% youth unemployment in Spain where I am now – and I guess for them, the world really does feel pretty apocalyptic). Are existing organisation models sustainable in a new economic future? What is the future model of 'employment'? And of course, lots of other things too… (our theme provides some guidance and focus, but it’s not intended to be exclusive). If you’d like to join us in the conversation, you can book at chru3-eventbrite.com. Hope to see you at the Spring! And do join us at connectinghr.org too! I’ve been at the Economist today, reviewing this Summer’s Talent Management Summit, and starting to develop the focus for next year’s event (scheduled for 12th June 2012). At one point we were discussing the development of leaders, and the differences to that of managers etc. I noted the interesting dynamic that will be raised as the role of line manager gradually disappears. Again, I can’t comment on what some of the HR leaders there said, but I will note this didn’t get a particularly positive response. And I don’t want to single out the people in the room, but I do wonder whether HR Directors in general are thinking radically enough? “To understand why these changes are so exciting for some people and so scary for others, a good place to start is the oConomy section on the website of oDesk, one of several booming online marketplaces for freelance workers. In July some 250,000 firms paid some 1.3m registered contractors who ply their trade there for over 1.8m hours of work, nearly twice as many as a year earlier. ODesk, founded in Silicon Valley in 2003, is a “game-changer”, says Gary Swart, its chief executive. His marketplace takes outsourcing, widely adopted by big business over the past decade, to the level of the individual worker. According to Mr Swart, this “labour as a service” suits both employers, who can have workers on tap whenever they need them, and employees, who can earn money without the hassle of working for a big company, or even of leaving home. If we don’t need jobs, we certainly don’t need managers! (and I still believe that even more traditional organisations will increasingly do away with managers as well). So how do we develop leaders if people increasingly aren’t getting experience working as managers first? I’m still recovering from a great event at Claridge’s last night where HR Magazine presented their new lists of HR Most Influentials. 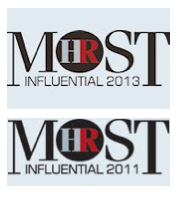 I was really pleased to find that I’d been included in the list of Top 25 HR Most Influential HR Thinkers, at #23. "He is the top HR blogger"
"A productive commentator with great insights"
And this is why, that whilst there is a great group of other thinkers on the list as well (as well as another list of international thinkers, and one of influential practitioners), I do worry about how many of these will be able to stay on the list in future. If they’re not using social media, they’re soon going to find themselves passed over by those who do. And currently they’re not – for example, other than me, there was only HR Magazine and Benjamin Reid from The Work Foundation tweeting last night. (Lynda Gratton who topped the thinker list does tweet – and it was noted that ‘her tweets really make you think’ – but they’re not really very ‘social’, ie there’s not much sign of conversation in her twitter stream). Anyway, what I really wanted to write was thanks for your support in reading this blog, and particularly for those of you who voted for me. It’s always nice to receive an award but it’s really motivating to know you think I’m influential*. (By the way, it’d be very interesting to know just how I have influenced you!). Also my thanks to HR Magazine for a great event, with the chance to meet other HR influencers such as Patrick Wright (I’ll be reviewing his new book, the CHRO soon), and for giving their readers the opportunity to vote for me. * And just to show you that I mean this, I’m going to break my blogger’s block and start posting daily again. So see you back here soon! Is it really September already? Time to get sorting out those Christmas cards and planning my New Year resolutions then! Perhaps not! But one event I am already looking forward to in the New Year is the HR Director’s Business Summit in Birmingham. 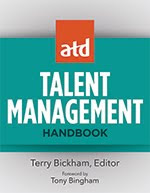 This is partly because of the usual stellar line-up of speakers including Ed Lawler (one of the co-authors, along with me, of ‘Integrated Talent Management’) on one of his rare trips to the UK. And partly because I’m going to be helping WTG with an unconference. We’re going to be running four un-sessions in tandem with the main conference and have an un-plenary at the end of the main conference to share and further discuss all of our reflections and ideas. I’ll also be attending, and blogging from, HRevolution being held in Las Vegas Just before HR Tech. One of the reasons that I’m so pleased to be delivering this HR and social media workshop in Kuala Lumpur is that I’m really interested in how social technology is developing in Malaysia and the rest of Asia. From one perspective, it doesn’t seem that there’s much happening there – evidenced by the lack of HR bloggers in Asia (outside India) that I mentioned recently. “After a sluggish start, Chinese usage of social networks is leapfrogging pretty much every country in the world. More than 200 millsion Chinese now have a social network account, and eMarketer forecasts that this will reach almost 488 million by 2015. In terms of time spent online and intensity of engagement, Chinese social networks boast astonishing metrics. China’s version of Twitter, Weibo launched as recently as August 2009. Yet the top Weibo stars now boast more fans that Twitter’s leading celebrities. Instant messaging platform QQ has more than 600 users, who regard it as their day-to-day e-mail platform. The different languages, alphabets and technologies used in China and other Asian countries is clearly one reason it’s difficult to keep track with Asian thinking about HR through social media. But with Google Translate and other tools it shouldn’t really be that difficult. So I’m still not sure why there’s a disconnect between Asian usage of social media, and external use by Asian HR people. I’m going to be delivering this session on HR and social media in Malaysia on 26th and 27th September. “Social media is one of the main drivers of change in business at the moment. 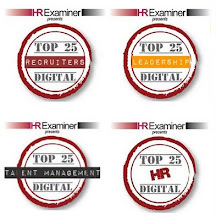 In HR, it is enabling major transformations in recruiting, learning and other areas. Many HR teams are now using social media and other web 2.0 technologies to improve both the efficiency and effectiveness of their people management processes. Most of these teams are using social media in the same way as traditional communication channels to ‘push’ information to employees. However, social media also provides access to further benefits including improving the quality of recruit, the capability of individuals and teams, employee engagement and organisational culture. HR teams gaining these additional benefits are using social media to ‘pull’ current and potential employees closer to the organisation, and to enhance sharing and participation across the workforce. In addition, HR professionals have the opportunity to play a further role in their organisation’s use of social media too. Businesses are using 2.0 tools to empower their employees to deliver better customer service; to keep track of customer needs (social CRM); to support knowledge management and to enable collaboration and innovation (enterprise 2.0). However many of these projects present behavioural and cultural (rather than technological) challenges, requiring HR to lead or at least collaborate in the implementation of these systems. I don’t know why all of the faces in the brochure are western, and am a bit worried that the guy in the bottom left clearly doesn’t want to be associated with the programme, but I’m sure it’ll be a great event for everyone who attends.